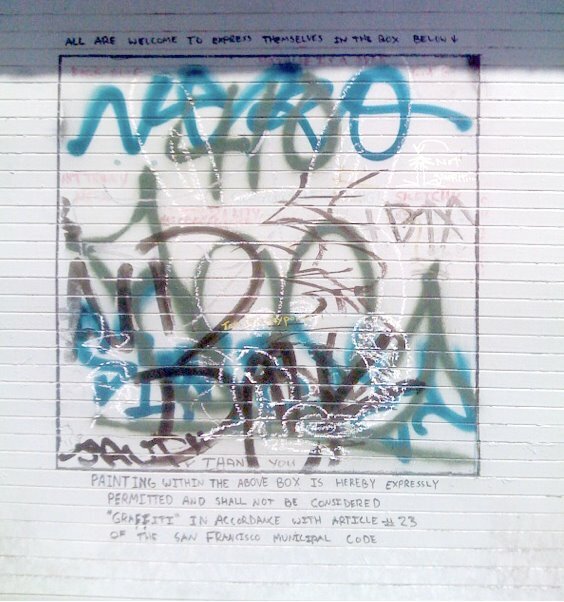 This is an interesting way for private landlords and shop owners to allow, and at the same time control, graffiti and public use of our shared public walls. Not only does a gesture like this garner respect from local artists for the wall they are painting and thus the individual behind it, but it creates an environment where public use of public space is acceptable despite local laws prohibiting this kind of activity. "All are welcome to express themselves in the box below." 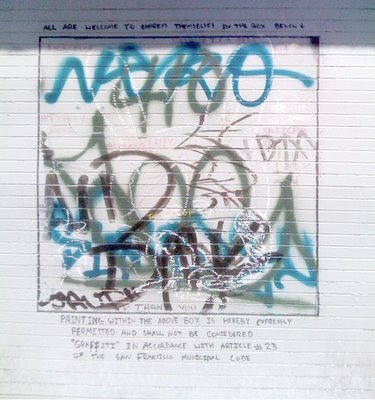 "Painting within the above box is hereby expressly permitted and shall not be considered "graffiti" in accordance with article #23 of the San Francisco Municipal Code."